Select downgrade on the Subscription page under your plan. 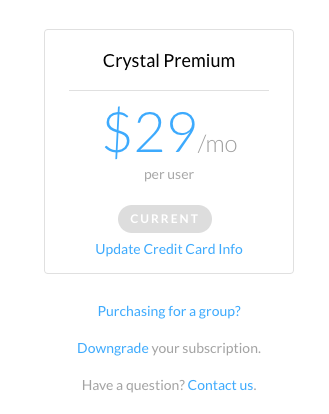 Downgrade your account back to a free membership on the Pricing page. A pop-up will appear asking you to confirm your cancelation. Select Confirm to cancel. This will remove your paid access and downgrade your account to Free at the end of your billing cycle. This will NOT delete your entire account.